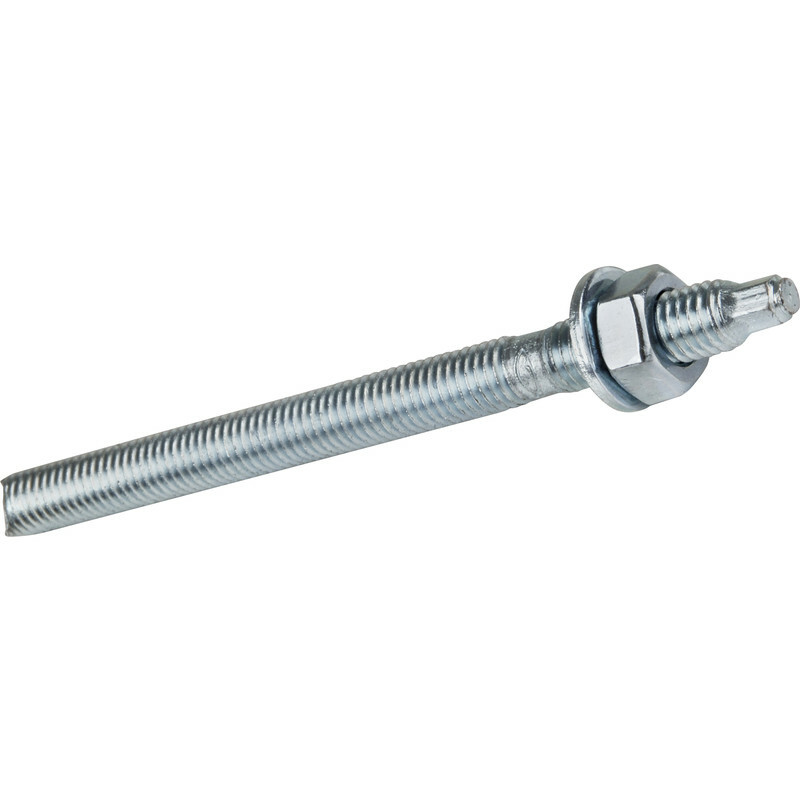 Threaded stud suitable for use with resin anchor systems. Zinc-plated steel with external hex drive. Fischer FTR M Threaded Stud M20 x 260mm (10 Pack) is rated 4.8 out of 5 by 5. Rated 4 out of 5 by Shep 1 from Stuch these into the resin and presto!! I bought these to erect the fence posts metal flush sockets and glad I did. Rated 5 out of 5 by Destroy it yourself from Use with resin. Magic! Resin, bolts, in brickwork. Job done. Very hard and tough. Rated 5 out of 5 by Rossco76 from Excellent value for money Total solution for resin fixing stud. Everything you need in 1 box, brilliant idea very good value.